In contest after contest, in online Beer Rating surveys, in taste-testing with the so called Beer Experts, and in competitions with experienced Beer Judges from the world over, Westvlereten Abt 12, a Strong Belgian Ale (Quadrupel) from The Abbey of Saint Sixtus of Westvlereten, Flanders, Belgium, is rated the very best beer in the world. There is one exception however; raters on one online beer site (of which I am a proud member) has Pliny the Younger, an Imperial IPA from Russian River Brewing in California edging out the Abt 12 from Westvlereten, but the ratings on that particular site are often skewed by enthusiasts of very high octane beer (over 10% alcohol by volume). As a point of reference, there are 0 Czech Pilsners, 0 English Ales and 0 German Lagers in that site’s Top 100. That’s a real head scratcher! That aside, along with the Abt 12’s lofty title of Greatest in the World, we might add, Hardest to Obtain Beer in the World as well. Does the rarity of any object of our desires contribute to our naturally elevating its status even before we are lucky or persistent enough to obtain it? Probably. But in this case, the Abt 12 produced by the Cistercian Trappist Monks of Saint Sixtus is truly of another world. Heavenly stuff! It pours a deep dark murky (in a good way) leathery amber color with a rich, frothy tannish beige head as a crown. An earthy aroma of cut hay, coffee, cocoa, sweet malt, resinous hops and warming dark rum alcohol excite the olfactory senses. Sweet caramel malt, buttery biscuits, toffee, banana, lemon zest, light pine, hint of herbs and flavors of dark rum mingle and dance in perfect rhythm and harmony. Velvety smooth and lush on the palette. This is a very drinkable brew for something of this strength (10.2% ABV). Is there a perfect beer out there? This comes mighty close! These Monks are deeply inspired to brew perfection after all. 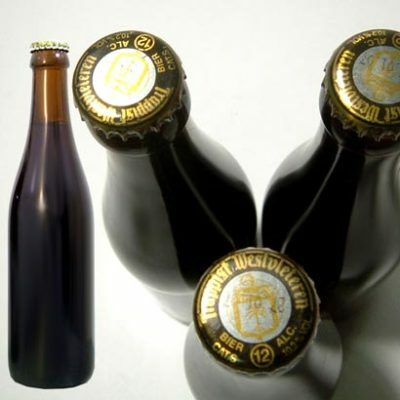 The Westvleteren "Trappist" is sold exclusively at the abbey store, and only after having made a reservation by telephone (+32 (0)70/21.00.45). Please take into account that you may often get a busy signal when you call to make a reservation, due to the fact that our beer lines are overburdened! 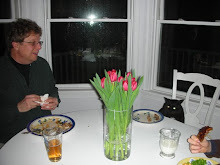 You're not the only one who is calling at that moment. Due to our small-scale production, the number of telephone calls is much greater than the number of available reservations. That means it's a matter of having a lot of patience as well as a lot of luck. Automobiles:reservations are made by license plate number, and the automobile bearing that license plate can pick up an order only once during any calendar month. - Each specific telephone number can reach the beer phone only once during any calendar month to make a reservation. If that telephone number attempts to call a second time within the same calendar month, the call will be automatically interrupted. There's no sense in calling back if you've already made a reservation within the same calendar month. - Anonymous telephone numbers are not accepted. - Land phones and cell phones have an equal chance. All telephone zones are treated equally. There's no sense in trying to contact our beer sales outlet or the brewery - in any way at all - if you don't succeeds in placing a reservation. Any such attempts will receive no response. Unless otherwise specified (see our page with Up-to-date Information), the empty bottles and crates can be returned to the sales desk any afternoon between 14:00 and 17:00. When there is no beer for sale, it might be that the sales desk is only open between 15:00 and 16:30. Our beer shop is closed on Fridays, Sundays and national holidays as well as January 1-14 and the week following the third Sunday of September. Our beer can also be enjoyed in the welcome center 'In De Vrede', across the street from the abbey. Here you can also visit the Claustrum , an exhibition room with a presentation of life in the abbey as well as information about the brewery and the brewing process. Now you see why a trip to Belgium is a great idea after all! And immersing oneself in Belgian culture is the best way to fully appreciate its greatness. Another method, although somewhat risky, is to befriend a Belgian on www.beeradvocate.com or RateBeer.com and trade that person a king’s ransom for a couple bottles. If the beer isn’t held up at customs, or if it doesn’t freeze, or break in transit, you will be rewarded in a most glorious way. Hear the angels singing yet? So, what are some other alternatives in New England to get you closer to an idea of the taste of this very rare and voluptuous beer? One, is to locate a bottle of St. Bernardus Abt 12. It’s much easier to find and does have many of the same delicious characteristics as Westvlereten Abt 12. In fact there is quite a bit of history linking these two west Flanders breweries. Another tasty option is Rochefort 10. 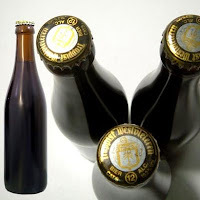 Like Westvlereten, Rochefort is also an authentic Trappist beer, brewed by monks of the Cistercian Order. It’s a tad bit stronger at 11.3% ABV, compared to 10.2% ABV, but there are a lot of similarities in the aroma and flavor profiles. Closer to home, from Portland, Maine we have Allagash Four, a Quad brewed with four malts, four different hops, four natural sugars and four different strains of yeast. Interesting beer! Another somewhat local option is Rigor Mortis, a Belgian-style Quadrupel brewed at Brasserie Dieu Du Ciel in Quebec, Canada. Silly name, serious brew! Very tasty! This researcher would very much like to hear about your experiences with any of these or other Quadrupel ales you may have encountered.